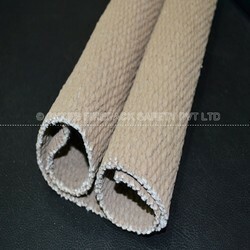 Ceramic Fibre Blanket is a refractory fibre needled mat made from fibres. These mats are laid into a continuous mat and then are mechanically needled for added strength. Being Zirconia stabilized our blankets are suitable for use upto 1260°C & 1425°C. A wide range of chemistries, densities and thickness are available.